Our house was built in 2003 and is equipped with all modern appliances and a wood burner fire for the cooler evenings. We have two bathrooms, two lounges and an outdoor dining area that catches the all day sun. 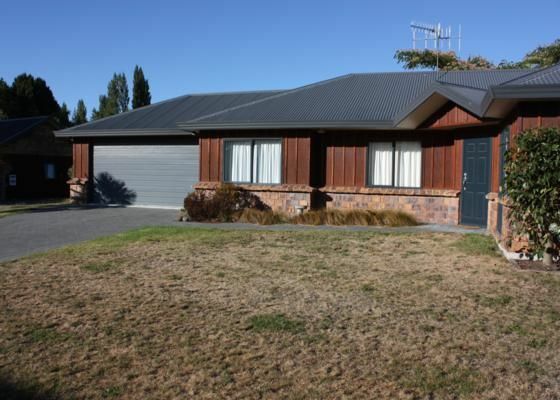 Situated down a quiet cul-de-sac overlooking the Kinloch Domain and tennis court. A short walk to the beach front, shop, restaurant and park. The 10 hole golf course is only meters away. The international golf course is just up the road. Three cafes to choose from, and takeaways are also available in the village. Yes the location was great. We stayed here with a group of friends for a Triathlon event. We stayed here with a group of friends for a Triathlon event. Great house, terrific location - we could walk everywhere. We'll definitely come back.